Okay. I’ve been thinking a lot of why the USAC decided to go rogue at this time and adopt radio usage in the United States. I figured since the UCI had dug their heels in so deeply, there is no way that they aren’t going to take “steps” against the USAC. What is the upside for the USAC? Yesterday I read this article that is an open letter to the Professional riders, by Pat McQuaid, president of the UCI. This is the part I found to be interesting-UCI is aware of steps being taken to set up a private league, World Cycling Tour, outside UCI, by certain team managers. I wonder will the financial benefits they are chasing benefit you, the riders. Somehow I think not! 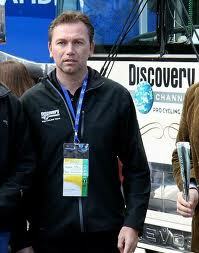 I quote Johan Bruyneel “I’ve been laying the framework for something great… But you’ll just have to wait and see…”. So, there is going to be a mutiny by the Professional Teams from the UCI? Led by JB, it seems. This is the only explanation of why the USAC would defy the radio ban. Steve Johnson and Co. must be aware of all the happenings and have decided to take sides early. It only makes sense. Say that JB has most of the Pro Teams on his side already. Maybe even the ASO too. At that point the USAC would have to give his new league serious consideration. “The UCI is convinced that what’s really at stake here is not radios, but power and control,” said the Irishman Pat McQuaid. I think that the USAC realized this upfront and played its hand. Mind you, this is all made up by yours truly. I have no evidence other than what I’ve read and my twisted mind to back up this theory. Like I said before, eventually we’ll find out the real reason that the USAC decided to part ways with the UCI on this radio thing. This is what I’ve come up with so far. Who knows? 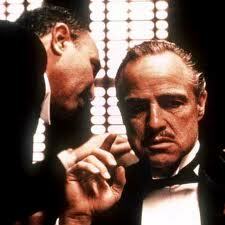 HHhhmmmmmm. . . . if this “new league” is not under the auspices of the UCI, are they under the auspices of WADA? Sorry if this is tin foil hat stuff, but I do wonder . . . The irony of Pat’s rhetorical question to riders is rich. You’ll notice that none of this bodes well for grassroots racing. My money is on Tailwind driving this new league forward. There’s a bunch of sociopaths in that organization. I had the same thought when McQuaid let that one out of the bag. Dealing with the UCI is a royal pain for USAC, so getting away from the Euro mess might be a good idea. Just in the world of officials, USAC has to fight with the old guard to get American officials represented at American UCI events. And once Lance tried to do a medium sized US event, the UCI made a stink about that. Want to host a UCI event? Better have a big wad o’ cash before even asking, because they don’t come cheap. @ Neil: DO we really need WADA? It’s not like they do anything close to catching most of the dopers. The whole system is bad. Since they are not catching most of the dopers, why not just embrace a system similar to the major American sports leagues? The doping probably wouldn’t be much different but at least the PR wouldn’t stink as bad. You, like many do not know how doping enforcement works. WADA is not the problem. The problem is the UCI. The UCI is between the riders and WADA controlling the doping enforcement. All examples of how the UCI is in the middle, crippling WADA. The UCI (cough! IOC cough!!) is the problem. Remember the rumors about BigTex buying the TdF? Maybe The Belgian and some of his cronies will instead just create their own show ala F1? The UCI is seriously corrupt but it’s hard to see improvements in that area with the reputations of some of these folks rumored to be involved in taking over pro cycling!